SSC स्टाफ सिलेक्शन कमिशन 54953 भरती प्रवेश पत्र. 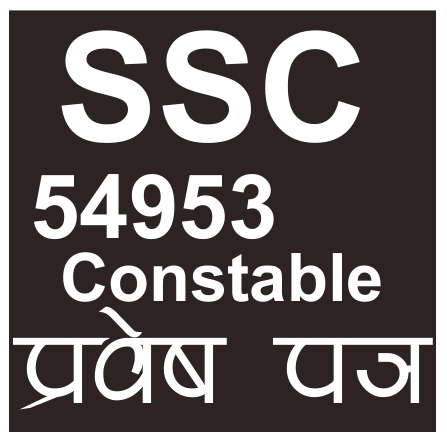 SSC GD Constable Admit Card 2019/ SSC GD Constable Exam 2019 : Staff Selection Commission has been issued an official notification for SSC GD 54953 Constable Admit Card 2019 for SSC GD Constable Examination 2019. Candidates may download their admit card for this SSC Constable Exam 2019 from below shared link on Majhinaukri.co.in. Majhinaukri.co.in wish you all the best for candidates for this SSC GD Constable Recruitment 2018. CISF केंद्रीय औद्योगिक सुरक्षा दल 447 कॉन्स्टेबल भरती प्रवेश पत्र.